British cultural critic John Ruskin (1819 – 1900), who I’ve mentioned here would have turned 190 today if such a thing were possible. By the same token, German cultural critic Siegfried Kracauer (1889 – 1966), would have celebrated his 120th birthday. I’ve mentioned him here and here. John and Siegfried were both cultural critics. Ruskin largely dealt with pre-industrial society, Kracauer with modern mass culture. John Ruskin is best known for his work as an art critic and social critic, but is remembered as an author, poet and artist as well. Ruskin’s essays on art and architecture were extremely influential. 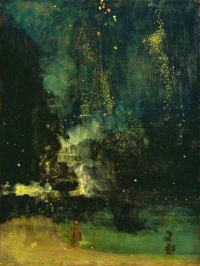 He is perhaps best-remembered for the books Modern Painters, The Stones of Venice; the speculations surrounding his sexuality; and the art controversy with James Whistler on Nocturne in Black and Gold, the Falling Rocket. Siegfried Kracauer was a German-American writer, journalist, sociologist, and cultural critic, particularly of media such as film, as well as the urban form. His best-known work is From Caligari to Hitler (1947), which traces the birth of National Socialism via the cinema of the Weimar Republic. Kracauer analyzed and critiqued the phenomena of modernism‘s mass culture. He built up a general theories based upon dozens of smaller examples. His attention to detail lends itself to an inductive method. He was one of the first to treat the cinema seriously; in it he saw a mirror of social conditions and desires. He applied his methods in such works as The Detective Novel, The Mass Ornament, The Salaried Masses, From Caligari to Hitler: A Psychological History of the German Film and Theory of Film: The Redemption of Physical Reality. I like to imagine that From Caligari to Hitler sheds light on the process of desiring-production by Deleuze and Guattari on the one hand and Wilhelm Reich‘s fundamental question — why did the masses desire fascism? on the other. 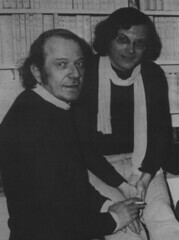 Desiring-production is a term coined by the French thinkers Gilles Deleuze and Félix Guattari in their book Anti-Œdipus (1972). They oppose the Freudian conception of unconsciousness as a “theater“, instead favoring a “factory” model: desire is not an imaginary force based on lack, but a real, productive force. They describe the mechanistic nature of desire as a kind of “Desiring-Machine” that functions as a circuit breaker in a larger “circuit” of various other machines to which it is connected. This entry was posted in aesthetics, critical theory, culture, theory on February 8, 2009 by jahsonic. Both Sam Shackleton‘s “Hypno Angel” and Kode9 and Spaceape‘s “9 Samurai” feature references to Chopin‘s Funeral March. The first quite literally at 3:12 in the track, the latter throughout the recording. Both tracks are in the dubstep genre, dubstep is related to hauntology. Both these two recording exemplify hauntology’s preoccupation with the aesthetics of death in a post-9/11 world. Musical hauntologists are advised to read the music sections in the as of yet untranslated French book Principles of an aesthetics of death, with its references to the “Funereal” outings of Mozart, Beethoven, Chopin (“Funeral March“) and Schubert (Death and the Maiden ). In the hauntosphere, Esotika has a post on hauntology and John Maus. Beyond the critical theory babble, “Hypno Angel” and “9 Samurai” are excellent dub music recordings. This entry was posted in aesthetics, critical theory, death, hauntology, music, theory on August 7, 2008 by jahsonic. European media have started to commemorate the 40th anniversary of the May 1968 revolution which spread from Paris to the rest of Europe. Ironically, May 1968, coincided with the gradual demise of the Situationist International, the Marxist movement, an important precursor of May ’68. Similar events took place two years later in the United States, with more tragic consequences. This entry was posted in anarchism, critical theory, European culture, politics, theory on May 3, 2008 by jahsonic. There are so many reasons to like I Heart Huckabees: the film stars French belle Isabelle Huppert, American veteran Dustin Hoffman (who I’ve actually come to like in his later years in supporting small roles such as A Series of Unfortunate Events, Perfume and Stranger Than Fiction, I’ve even come to appreciate his mouth-mannerisms, which I disliked so much), and cult favorite Lily Tomlin. Huckabees’ director David O. Russell seems to belong to the club of smart, intellectual and philosophical North-American filmmakers which also includes P. T. Anderson, Michel Gondry (I know he’s French), Charlie Kaufman, Spike Jonze, Wes Anderson, and to a lesser extent Vincent Gallo, Hal Hartley, Alexander Payne and Terry Zwigoff. British film critic James MacDowell, in a semantic approach I also worked on at Jahsonic.com , dubbed these directors the “The ‘Quirky’ New Wave”, for their “quirkiness“. The denotation of MacDowell overlaps with the recent spate of what has come to be termed “Indiewood” features. The film is indeed overtly philosophical, with special attention given to concepts such as existentialism and pure being. In my limited philosophical expertise, Dustin Hoffman and Lily Tomlin represent good old American positivist, buddhist-inspired, self-help therapy and Isabelle Huppert, personified as Caterine Vauban (whose business card reads: “Cruelty. Manipulation. Meaninglessness. )”, represents evil French Deconstructionist continental obfuscating philosophy. Fear not, the two strains are reunited towards the end, all to the sounds of a beautiful soundtrack by Jon Brion, who you may be familiar with via his work on Magnolia (1999) and Eternal Sunshine of the Spotless Mind (2003). Huckabees’ is a 2000s entirely sympathetic entry for the anarchic comedy film category. This post is a continuation of sorts of this post. This entry was posted in absurd, American culture, critical theory, European culture, film, postmodernism, theory on April 21, 2008 by jahsonic. Aimé Fernand David Césaire (25 June 1913 – 17 April 2008) was a French poet, author and politician. He was with Léopold Sédar Senghor one of the figure heads of the négritude movement, the precursor to the Black Power movement of the 1960s. His writings reflect his passion for civic and social engagement. He is the author of Discours sur le colonialisme (Discourse on Colonialism) (1953), a denunciation of European colonial racism which was published in the French review Présence Africaine. 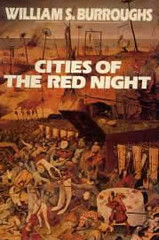 In 1968, he published the first version of Une Tempête, a radical adaptation of Shakespeare’s play The Tempest for a black audience. This entry was posted in African American culture, American culture, avant-garde, counterculture, critical theory, death, European culture, exploitation, French culture, literature, politics, theory on April 17, 2008 by jahsonic.